When The Sims 4 launches on September 2 it will come with the option of a ‘Premium’ membership, a demo of the game’s beta version has revealed. Premium players will enjoy exclusive items and early access to packs, in the fashion Battlefield players have become accustomed to. The membership option appeared unannounced during a 20 minute beta presentation – the same shown to press at E3 last month. A banner in The Sims 4’s new online Build Mode gallery encouraged players to “Save on new packs with early access and exclusive items”. 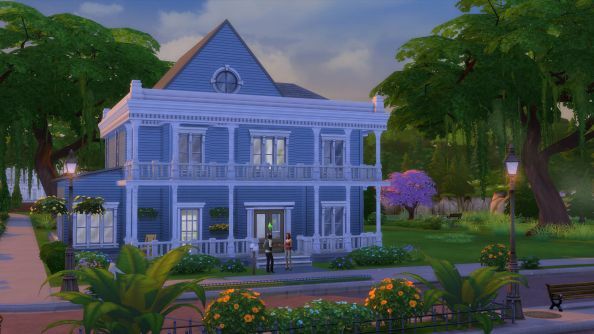 Packs could mean full-blown expansions, or the stopgap Stuff releases which in the past have injected Sims games with new clothes, cars and interior design tools. The concept will be familiar to Battlefield 4 Premium members, who are guaranteed a two-week lead on new expansions and priority position in server queues for a fixed price. Elsewhere, the video shows off the temporary waves of anger or energy that can sweep up Sims and influence their interactions for long periods afterwards. And the large, shared open spaces The Sims 3 introduced are back – along with the possibility of sleeping on a different park bench every night. As you’ve probably heard, though, there are no swimming pools or toddlers in The Sims 4. But it’s going to be great, yes? They always are.